Injured at work, can't get work comp to accept the claim. Needed surgery, but being ignored by everyone, including the doctors. What could I do? I contacted Lombardi Law and together they got me $375,000.00.D.B. Straight talk when you need it most because "There's nothing more thrilling than nailing an insurance company!" What's my case worth? What should I do right after the accident? Why is the case manager working against me? These are all questions we are often asked and the answers can be found right here at the Iowa Injury Law Center. If you have a question that isn't answered or just want to talk to a personal injury lawyer, contact Steve or Katrina by dialing 515-222-1110 or writing to [email protected] or [email protected] They look forward to speaking with you. NOTICE - PLEASE READ THIS CAREFULLY. We are not a volume law firm with volume lawyers who will take on just any case, and then never have the time to speak with the clients. 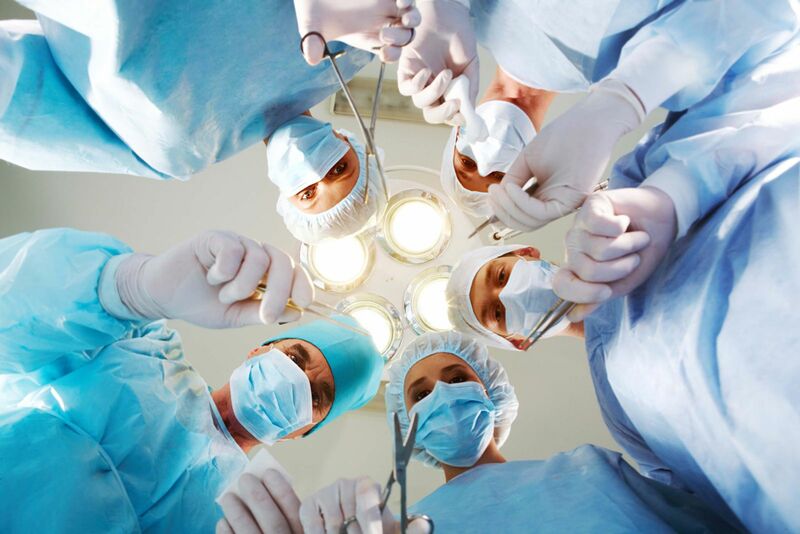 We take only cases where there are serious personal injuries, which usually involves at least one surgery. (Broken bones, some sort of surgery, a spinal cord injury including ruptured discs, brain damage, quadriplegia, paraplegia, loss of an arm, a leg or an eye or hearing.) This firm is selective about what cases it takes. We are not after volume. We are about doing serious work for serious clients. We are not the YouTube of the law, here to teach DIY case handling, because a serious personal injury case is not like fixing a leaky toilet. If you have a serious personal injury call to speak with the attorneys and then we will set up an appointment. Personal injury law is our business and for the past 38+ years Steve Lombardi has assisted over two thousand clients with personal injury. Clients come from all over Iowa, we travel and have handled cases in many of Iowa's 99 counties along with injured people just traveling through Iowa. Steve has handled cases in Montana, Nebraska, Minnesota, Missouri, California, Florida and Texas just to name a few. Let us help you or at least help you get to the right attorney. Currently the worst personal injury cases come from interstate highway accidents, drunk driving collisions, semi-truck collisions, rollover accidents, denied work related injuries, explosions, electrocutions, falls, brain injury and spinal chord injuries. We've handled most every type of personal injury case in Iowa and would like to evaluate your case. We are located in central Iowa. Polk County, Des Moines and West Des Moines. So call us before you talk with the insurance adjuster. We can help you. Call today. Call NOW! We pride ourselves on telling you what you need to hear, not necessarily what you want to hear. Denied Insurance Claims. If you have a denied insurance claim we can help. Denied claims include life insurance, car accidents, truck accidents, motorcycle collisions, ATV's, pedestrians getting hit by a car and anything that includes serious personal injury. The law is about understanding how to apply the law to your facts. Accidents. They happen anywhere, anytime. You cut your finger with a knife in the kitchen. You spill your morning cup of coffee. You slip on a patch of ice and fall. Accidents at home are painful and perhaps embarrassing but certainly manageable. When they happen on the road or on the job, however, they can become a real challenge to putting food on the table and paying the bills. The insurance industry is not there to treat you fairly, because what is fair to you may not be considered fair to them and their insured. You need good representation; someone to help you understand how to win. Keep in mind the insurance industry wants you to lose. Whether you’re involved in a serious car wreck, an accident with a truck, or hurt on the job, you’ll find yourself potentially out of work and out of money. What if you lose your eyesight or a limb? Your bills will pile up, especially those never ending medical bills that can result in your insurance company raising rates or worse yet, refusing to cover you. Even though you’re the victim, it will seem as if nobody wants to help you and everyone who is supposed to be helping you, wants to blame you. Trying to handle the situation without professional assistance can be just as terrifying as the injury itself. At these times, personal injury attorney Steve Lombardi and Katrina Phillip can help. With over thirty years of experience representing personal injury clients in central Iowa, Steve knows the law and can help you to achieve THE BEST result. His practice includes personal injury cases; car, truck, motorcycle, and boat accidents; major injury cases including brain damage, loss of limbs, loss of eyesight, death and surgical cases; workers’ compensation; professional malpractice; and a limited number of divorce cases in which significant and valuable property must be divided. Lombardi Law Firm is located in West Des Moines, Iowa, and serves clients from Polk, Dallas, Madison, Warren, Clarke, Cerro Gordo, Jasper, Linn, Wapello, Clinton, Scott, Pottawattamie, Muscatine, Lee, and Johnson counties, including accidents occurring along the interstate highways I-80, I-35, I-235, and I-380. Steve Lombardi is the kind of lawyer who cares deeply about his clients. Just like many of his clients, he too has experienced the breakdown of the health-care system. When he was thirteen, his father died of lung cancer. For two years before his father’s death, the primary care physician diagnosed a pulled muscle. No x-ray was taken. Had this simple test been ordered the lung cancer may have been diagnosed and his life saved. He died two years after a specialist ordered an x-ray. Before going to law school he had never been in a lawyer’s office, because his family couldn’t afford legal services. Today he is there for his clients. From those experiences, he draws a great desire to help his clients win their cases involving any type of malpractice, and serious injury, a desire to help his clients find some justice in an imperfect world. He prides himself on always telling clients what they need to hear not just what they want to hear. In the pursuit of justice, Steve Lombardi believes his clients are necessary partners in building the evidence that will be used in court: active, responsive clients with some understanding of the process have the best chance of success. He is passionate about the work he does and enjoys working closely with his clients to collect the evidence supported by the legal theory. He believes there are no small issues in a case because every detail could turn a case in the client’s favor. Steve Lombardi works very hard to positively impact his clients’ lives. And while he recognizes that not every case can be won, he simply hates to lose. Justice delayed is justice denied. You can be sure Steve Lombardi will use all of the legal tools available to fight for you, and to win your case. So call us and let us HELP YOU TO HELP YOURSELF!